Berks County has a rich music history and we want to preserve it! 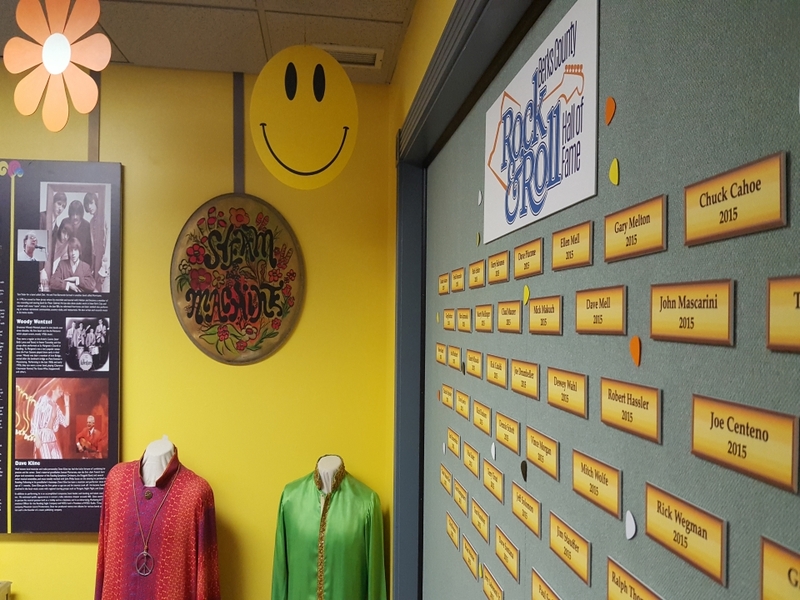 The Berks County Rock & Roll Hall of Fame was originally conceived following Berks History Center’s second Magical History Tour concert, which was held in August 2014. 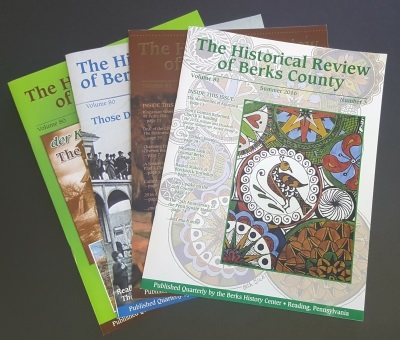 After two successful years of reunion performances by local musicians and bands from the 1960s and 1970s, the BHC wanted to honor and memorialize Berks County’s rich musical history in a way that would celebrate and commemorate the musicians and groups who made it so special. And so the Berks County Rock & Roll Hall of Fame was born. On August 15, 2015, BHC held its third annual Magical History Tour event where BHC awarded and inducted 56 Berks County musicians and 9 bands into the Berk County Rock & Roll Hall of Fame. Our first inductees were the local musicians who generously donated their time and talent, for no compensation, to play at the first two Magical History Tour concerts, and helped make those events a tremendous success. Following our 2015 concert, the Berks History Center created an online People’s Choice poll whereby local musicians could be nominated, by their fans and the general public, on the Magical History Tour and Berks County Rock & Roll Hall of Fame Facebook pages. In 2017, a formal committee was formed for the Berks County Rock & Roll Hall of Fame. The purpose of this committee is to research Berks County’s rich music history and add deserving musicians and groups to the Hall of Fame through a formal selection process. Next year, we will celebrate our 7th Annual Magical History Tour event at the Evergreen German Club on August 17, 2019. Each year, we will continue our tradition of honoring Berks County’s talented and dedicated musicians with an awards ceremony, inducting new musicians and groups to the Berks County Rock & Roll Hall of Fame. In doing so, we will continue to honor deserving local musicians in our growing archive of local talent, the Berks County Rock & Roll Hall of Fame. Click here for more information on How to Become a Member of the Berks County Rock & Roll Hall of Fame. 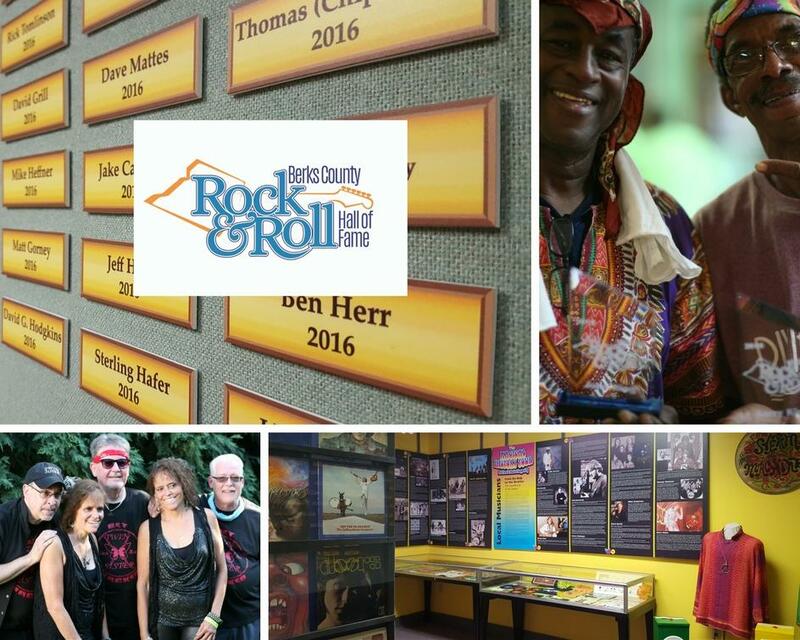 The Berks County Rock & Roll Hall of Fame is a permanent exhibit open to the public during regular museum hours. Come celebrate Berks County’s unique musical talents and rich history! Want to help to preserve Berks County’s rich music history? Donate to support the Berks County Rock & Roll Hall of Fame!